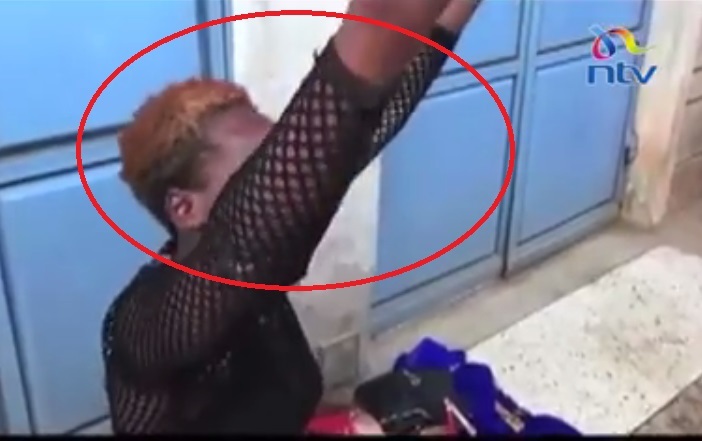 Home / Entertainment News, Videos / PROSTITUTE who drugged a man in his house in Kisumu after he chips fungad her cornered and beaten(VIDEO). PROSTITUTE who drugged a man in his house in Kisumu after he chips fungad her cornered and beaten(VIDEO). Tuesday, December 11, 2018-There was drama in Migosi Esate in Kisumu after a prostitute who drugged a man in his house and stole from him as he lay unconscious was cornered by neighbours. Neighbours say the man arrived in the wee hours of the morning with the woman who looked suspicious. They also became suspicious and set a trap for her since cases of men being drugged by prostitutes have become rampant in the estate. The caught the w0man red handed stealing househeld items from the man after drugging him. When they broke into the house, they found the man lying unconscious on the bed after being drugged by the prostitute. Irate neighbours cornered the woman who tried to run away and gave her a serious beating that she will never forget and nearly lynched her before cops arrived to salvage the situation. Here’s a video of the incidence.